In 2013, Christie's exclusive theme auction with photographs of Kate Moss became the most successful photography auction of all time. On March 20, Sotheby's brings together Britain's both crowned and unofficial queens in one sale, including Kate Moss, Princess Diana and Queen Elizabeth II. Mike Figgis, "Kate Moss, Descending" in 2007. Photo: Sotheby's. One of the top lots of the upcoming auction is Kate Moss Descending, taken by photographer Mike Figgis in 2007. Figgis released the photograph in ten copies which sold out immediately. This edition is estimated at $52,000-78,000. Kate Moss's real entry into the fashion world took place in the early 1990s, when, through Calvin Klein Jeans commercials, she took the fashion world by storm. Embodying the "heroin chic" aesthetic of an emaciated frame, pale skin and red lipstick that was popularized in the 1990s, Moss was in stark contrast to other shapely supermodels such as Claudia Schiffer, Naomi Campbell and Cindy Crawford. Over the following decades, several of the photographs from that era have become symbols of popular culture and the 1990's rock 'n' roll. 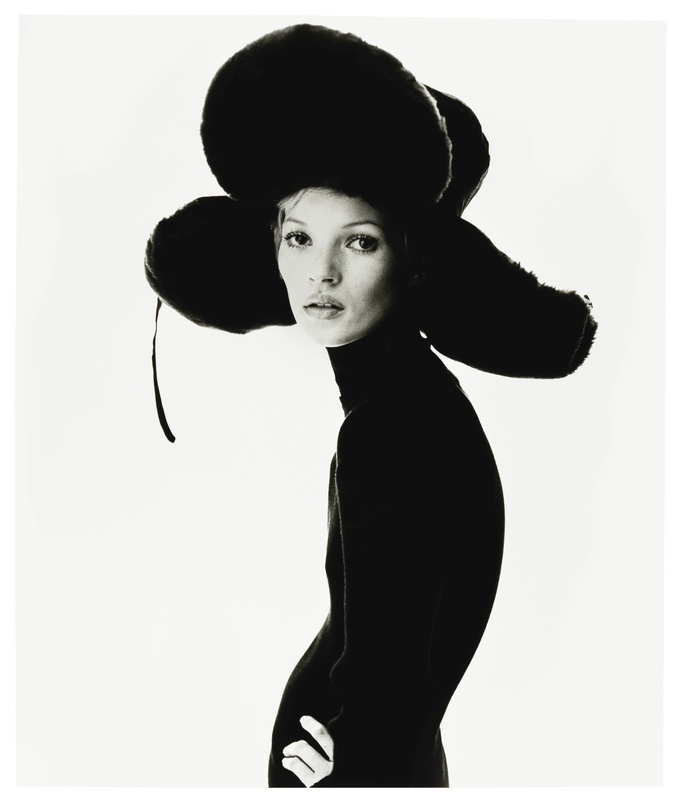 Moss's icon status became clear in 2013, when Christie's auctioned out 48 photographs of the model, which together drew just over $2.5 million, the highest total amount a photo auction has ever generated. In addition, a photograph of Kate Moss, taken in 1992 by the American photographer Steve Klein, depicts a very young, almost childish and fragile Moss at the height of the "heroin chic" trend. Its estimate is $6,500-9,000. Terence Donovan portrait of Twiggy, 1966. Photo: Sotheby's. In the 1960s, the top supermodel role was occupied by another British teenage model, Lesley Lawson. Her nickname Twiggy came about because of her thin body and twig-like limbs. This photo from 1966 is expected to achieve between $1,500-2,300. 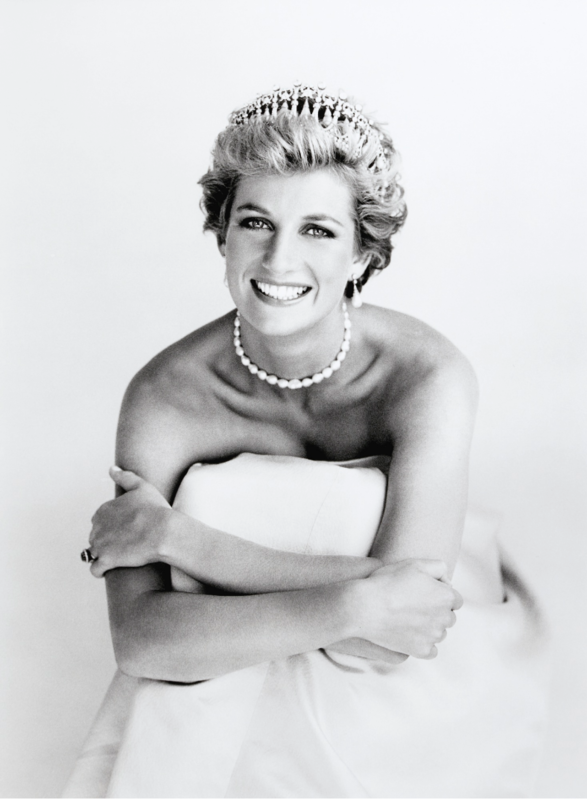 Patrick Demarchelier's photograph of Princess Diana in 1990. Photo: Sotheby's. While Kate Moss was at the beginning of her brilliant career, Patrick Demarchelier photographed Princess Diana in London in 1991. The following year the photograph adorned Vogue's cover, which today may not be perceived as particularly unusual, but in the 1990s the covers were always models and the fact that it was now a celebrity, and not least a member of the royal family, was revolutionary. In the photo, Diana is crowned by the Lover's Knot Tiara, her favorite diadem, commissioned by Queen Mary in 1914. It is expected to fetch between $26,000-39,000. Chris Levine, "Lightness of Being" in 2010. Photo: Sotheby's. With this photo of Queen Elizabeth II there is an actual crowned queen represented in the auction. 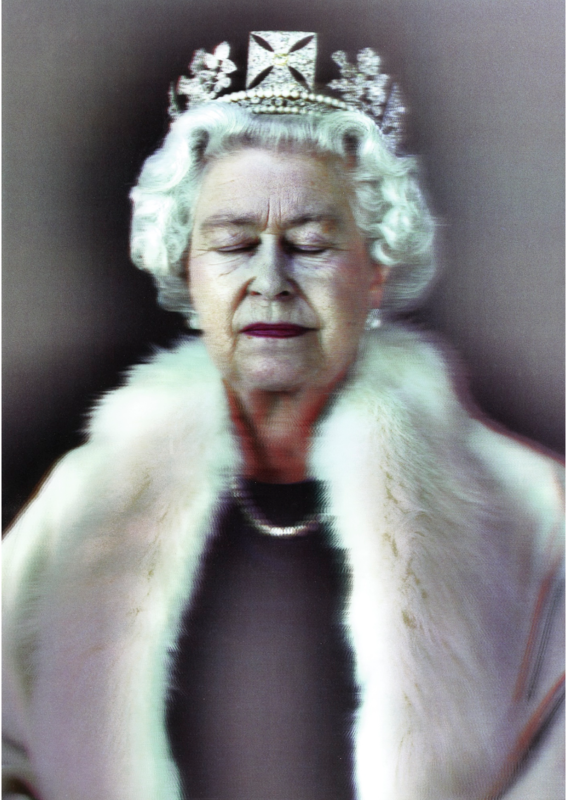 The portrait was taken by Chris Levine in 2010 and depicts the queen wearing fur and tiara in a way we have rarely seen her before - with closed eyes. The Lightness of Being, as this photograph is called, is expected to land between $15,600-$23,500.